Is there a difference in funeral homes and what they provide? Yes! Be informed so you can make the best decision for your family member. Southern Cremations & Funerals at Cheatham Hill is a 100% full-disclosure operation, which means you are welcome to tour all our facilities. Some funeral homes use a central processing facility for all body preparation, so the body is transported several times. At Southern Cremations & Funerals, our own staff will bring your loved one into our care, where they are treated with dignity and remain onsite in our facilities. We do not charge extra for ID Viewing. We want families to have the opportunity to positively ID their loved ones and have a chance to say goodbye. The ID Viewing is available for up to 6 family members, for up to 30 minutes, in our private Viewing Room. This service is particularly helpful for families who choose immediate burial or choose not to have a public viewing. We offer two different chapels in which to hold funeral services. The smaller chapel in our funeral home is an intimate setting for up to 40 people. Our Columbarium at Cheatham Hill Memorial Park houses a large chapel that can accommodate up to 180 people. 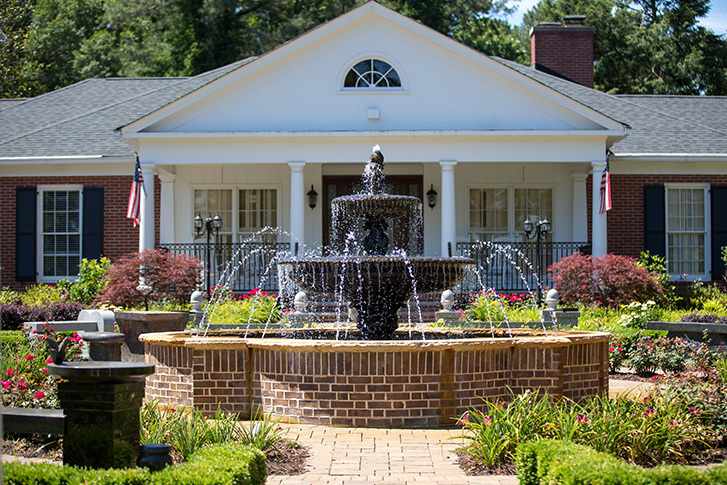 Featuring stunning stained glass windows, our Columbarium has a grand piano, organ and a galley kitchen for ease in serving refreshments or luncheons following the service. We offer five affordable Funeral Packages. These packages each include varied services and pricing, making it easier for families to make decisions concerning their loved ones. Click to view our Funeral Packages. We listen to and educate our families on all services available and assist in planning funeral services that meet the wishes of each family. From an immediate burial with a graveside service, to an elaborate full traditional funeral/celebration with a separate viewing, we happily accommodate the cultural and religious wishes of all our families We realize that each individual is unique and want to ensure that you can remember and honor your loved one in the way that best reflects their individual wishes or the wishes of the family.